delay delivery of your license plate. Please note, all application information must match the vehicle on which the plate will be displayed. The purchase of a new vehicle while the application is in process will void that application. 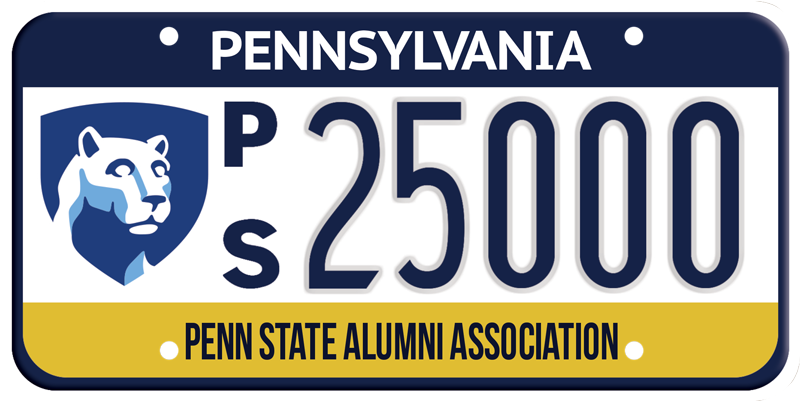 If you have trouble downloading or printing the forms, call 877-778-7467 or email pennstateplate@psu.edu to request that hard-copy forms be mailed to you. 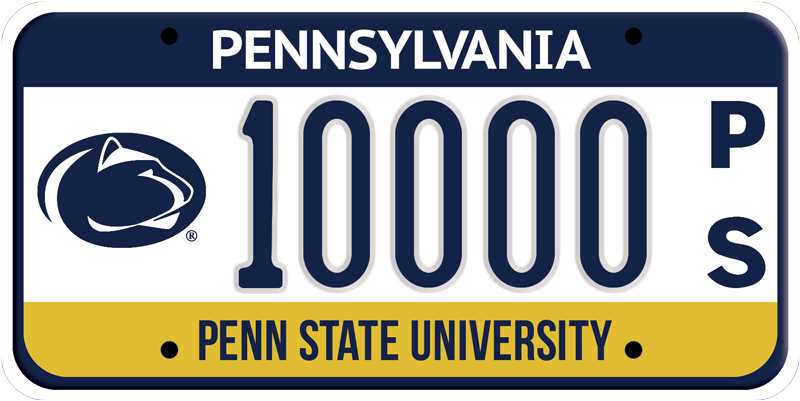 The plate featuring the oval lion (shown on Penn State plate) is only available in Pennsylvania at this time. A qualified mother vehicle is less than 9,000 pounds and is not a motorcycle. Please be sure to review that all areas of your application and payment form is filled out correctly, completely and signed where needed. Failure to have all information filled out accurately will delay processing of your plate. Choose a plate below to get the corresponding forms for purchase.